Tom Maley submitted this classic photo. 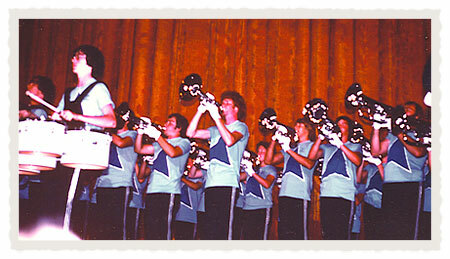 This photo is of Spirit of Atlanta's first performance in 1976 at the fabulous Fox Theatre. They were the opening act for a concert by the late Maynard Ferguson and his band.